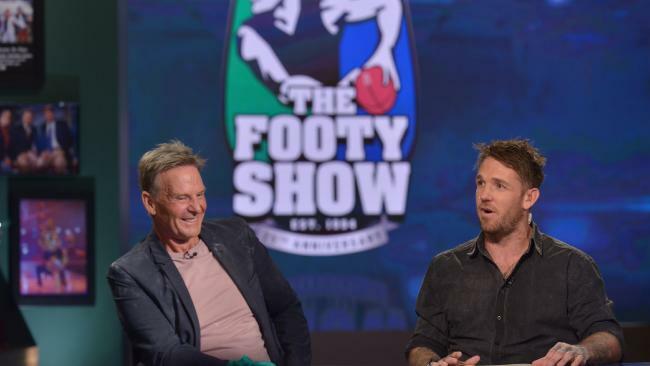 We’ve ranked all 18 footy shows that appear on either Fox Footy or the free to air channels. We’ve excluded those that are only online or on channels like channel 31 as they are more inconsistent in their air times and don’t have the budgets or production team of others. If there’s one word to sum up bounce it’s cringeworthy. Each year the quality seems to go down and the segments seem to be more lazy than the last. The guests on the show are terrible with most (looking at you Simon O’Donnell) not preparing for the role. Frawley’s incompetence seems to be the main joke of the show but just ends up looking unprofessional. 2018 might be the footy show’s last. With ratings low and controversy high it’s no surprise Sam Newman looks to be leaving. After the ratings push from Maguire’s return in 2017 went away, the footy show was back to it’s irrelevance. It relies too heavily on Sam Newman’s hot takes and lame segments that aren’t relatable to the current fan. We’ll be surprised to see this back for 2019. This new show for 2018 isn’t terrible but it provides the same things you can see on all the other footy analyst shows but just not as well done. It tries to be the hip young show with the likes of Nick Dal Santo, Leigh Montagna, Cam Mooney hosting but their “hot takes” are so similar to those seen on AFL 360 or Footy Classified it’s easy to loss attention. The camera work is quite shaky and the constant moving around is hard to follow. Early on, the show focused on Supercoach and fantasy sport which could have proven to be a great point difference from other show’s however this went away quickly which was disappointing. Future Stars is a show that found it’s niche in under 18s footy but now seems to be wanting to branching out into AFL content. The production quality is low with many errors though out the year on player trading and list movement and the show is sponsored more than it’s comfortable to handle which probably shows the amount of viewers it getting. Another new show for 2018 for Fox Footy and similar to the weekend lowdown the show isn’t bad but nothing amazing. It’s pretty short and sharp with some good guests across the year such as Dippa and Mason Cox but relies heavily on nostalgia with it’s questions which might not appeal to everyone. The quiz format works pretty well but Lehmo and Lawrence Mooney are odd choices for ‘team captains’ with it seeming like Mooney hasn’t watched a non Essendon AFL game for 20 years. Dave Thornton does a pretty good job as host but we wouldn’t be surprised if this doesn’t come back for season 2. Bob is one of the those show’s you’ll either love or hate. It’s well known that Bob is ‘deep thinker’ and this comes across in this retake of the Open Mike format. Some of Bob’s interviews are top class including Matthew Richardson and Nat Fyfe but others outstay their welcome like the Tex Perkins episode. The Camera angles can get frustrating and the constant mention of Bob missing out of a premiership in 2016 can get annoying but the show does what’s trying to achieve as a interview show with a difference. Robert Murphy seems to be being groomed as the next Mike Sheehan. Jury’s still out on weather that’s a good idea. The Sunday Footy Show has seemed to have found it’s niche in the past year or so. It relies on the ‘banter’ between the cast which viewers tune in for. Sometime it feels contrived but it never get’s old seeing Matthew Lloyd make fun of Kane Cornes with the other cast members chipping in. The basic format of reviewing games has stayed the same with the Sunday footy show looking to outstay it’s Thursday night older brother. Open Mike has always been one of the solid shows year in year out however, it seems Mike is running out of guests. The show took a mid year break when Bob aired which shows you the lack of players still left. Two interviews in particular stand out as draining the barrel dry in Craig Hutchinson and Hannah Mouncey. Mike’s interview with Mouncey came across as creepy and being over the top when the show has got it’s reputation for interviewing those who have had a big impact on the game. Hannah Mouncey is an interesting person to interview but half an hour is way too long. There were some highlights along the way such as the Mark Neeld and Mike Fitzpatrick episodes and the normal format is still solid but overall the show may have run it’s course. The first Monday night show on the list, Talking footy has good guests and good analysis. It’s nice to see Brian Taylor in a more serious role and the dynamic between him and Wayne Carey is good but the inclusion of Campbell Brown and Sam McClure to the main panel didn’t really work out. McClure isn’t very likeable and has a poor strike rate recently with call and prediction while Brown isn’t a naturally pleasant person to listen to. The show is still a fun watch and gives you a good summary of the weekend’s action. A fun light hearted rap-up of Saturday’s footy. It’s particular good if you’ve been at the footy and missed the other matches or if you just want to see the news from the day. It’s got a good cast with Dermott Brereton, Brad Johnson and Neroli Meadows in a casual environment. Gameday is a consistently solid show. As a more player led program it does a good job of having fun and bringing reviews of the weekend’s games. Probably the most family friendly show, it’s continued with it’s long running segments. Maybe some change ups are needed if you were being picky. AFL Tonight is a short sharp 30 minute week-nightly show but this is where it works best. Hosted by Neroli Meadows, it has greats guests from a who range of clubs covers the news of the day very well. While there is some analysis from the likes of Robert Walls, the show knows what it’s good at with journalists from every state so you get a good picture rather than just from Victoria. 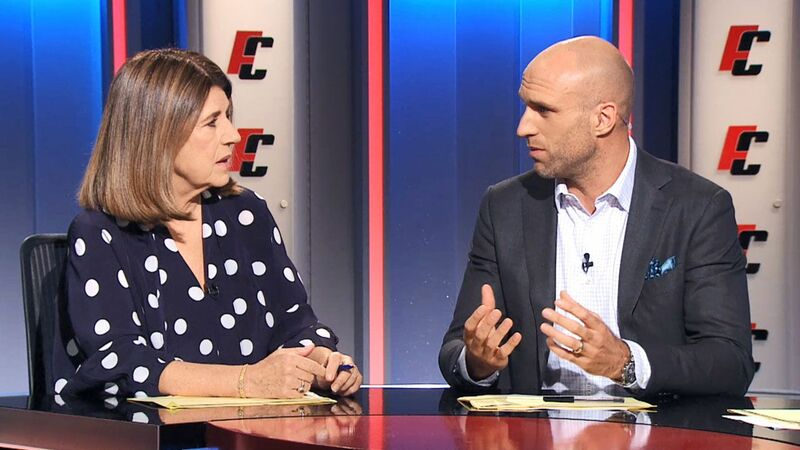 The King of nightly footy shows, AFL 360 continued with it’s ‘odd couple’ format in 2018. While some may feel the show needs a change, it’s still one of the best in capturing the footy landscape whether that be of tribunal night or in the lead up to Friday night footy. It can get tiring to see Chris Scott and Alan Richardson on every Monday when their teams didn’t do much of interest or on Tuesdays when Riewoldt and Lewis don’t have much to say however, the inclusion of Dunstall and Dermott on Thursdays has proven to be a winner with great analysis from the two former Hawks. Often considered the hidden gem of the footy shows, Marngrook had another strong year with great guests other shows couldn’t get as well as interesting segments. 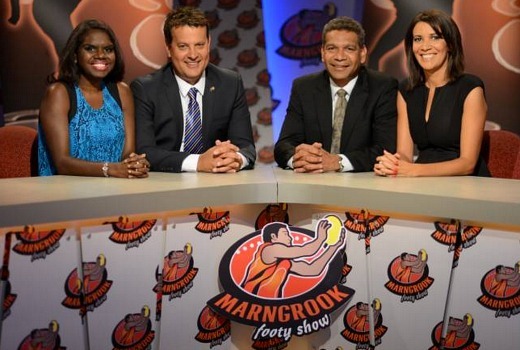 Marngrook avoids the arguing and fighting of the mainstream shows to provide a show for those sick of the average ‘media heads’ type content where the likes of Damien Barrett or Sam McClure pop from show to show. 2017 was always going to be tough to top for Footy Classified. It wasn’t able to get Nathan Buckley as a regular panel member again but it was able to produce one of the interviews of the year with Stephen Silvagni answering the tough questions. The constant week to week pestering of Chris Judd was interesting at first but grew tiring by the end of the year. As was the constant speculating of trades such as Tom Lynch where Hutchison and Wilson in particular seemed to go round in circles each week on their opinions. The show stays the same in it’s bickering between the panel which you’ll either love or hate by now. Classified takes a noticeable dip in quality when one member leaves and the likes of Kane Cornes or Damien Barrett has to fill in but it’s still one of the best weekly footy shows and breaks stories before others. The best of Fox Footy’s new crop for 2018, On The Mark could have been a mess with it’s focus on the private lives of players but shines with it’s interviewing quality through Meadows, Jones and Underwood. Some episodes will have you feeling inspired while some might make you cry or even both. While theres a few that are bit filler, the episodes featuring Hugh Greenwood, Ben Crocker, Dayne Beams and Kobe Stevens are some of the best TV you’ll watch this year taking viewers past just the normal weekly AFL talk to discuss issues that need to have light shed on them. 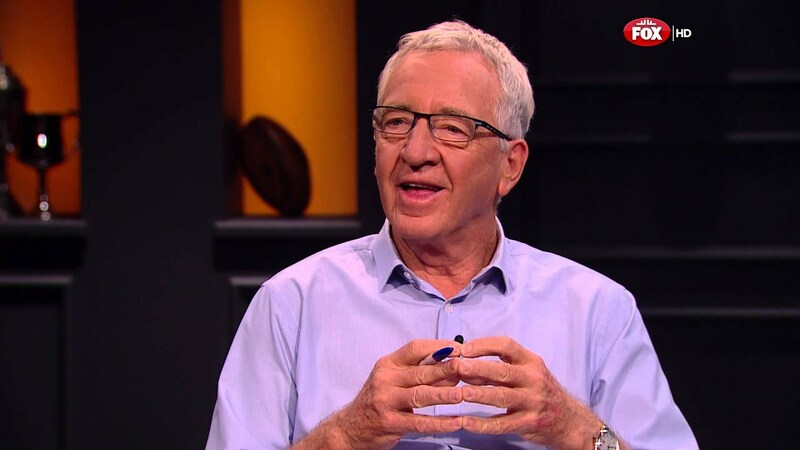 Topics such as concussion, Cancer and Azheimer’s aren’t normally discussed on footy shows and On The Mark does it in a respectful and honest way. On the Couch is the premier footy analysis show. Dropping Dunstall and King and replacing them with Lyon and Roos has proven to be a winner. Roos has brought a level headed perspective coming from the coaching ranks while Lyon is solid performer from his Footy Classified days. The banter between Brown and Lyon works well while Healy had a good year in the hosting chair. Some new segments have worked well as has the guests but the stand out is still it’s “lab” analysis highlighting where teams went right and wrong, who’s underperforming and who’s staring. The Front Bar has quickly become the king of footy comedy. Incorporating the best of Maher and Molloy’s before the game years while also finding it’s niche in bringing a sportsman’s night feel with it’s guests from yesteryear, The Front Bar will have you laughing several times an episode. Although the Sportsbet and Carlton Draught advertising can get a bit over the top and Molloy can have a habit of interrupting others, you ignore it for the comedy genius of the crew. Running gags such as Carlton’s terribleness and Maher’s age are always funny. The segments are great and the on the run jokes are perfect. Some skits are obviously scripted but the execution is so perfect you are happy to watch it unfold. Regulars such as Santo Cilauro and Ryan Fitzgerald fit in perfectly and the production team do an excellent job of getting in guests who add something other shows don’t bring. The Front Bar boys have come along way from a 15 minute show on the AFL website.